Varun Ish Nanda along with his wife Roopsi Nanda & Father-in-law Dharam Gupta is a California licensed Realtor CalBRE# 02014714, specializing in sale & purchase of Residential real estate & Commercial real estate, serving clients all over California with Love. Also specialing in all Kinds of Residential, Commercial and Business loans, our Team provides world-class service to you in every real estate transaction. ​We Believe in Buiding ‘Real, Experiential Connections’, not ‘Real Estate Contacts’. It all began when my Wife & I gathered our savings and stepped into the ‘Real’ world in order to have something of our own. We thought the process would be amazing! We met a couple of realtors but no one seemed to understand us, they were either too aggressive, or too slow or just din’t even care! We somehow managed to find the one to our liking through an open house, and got the offer in through a broker friend. It was after that experience we realized that there has to be more caring people around, specially in the Real Estate world, because a buying a House, no matter first or second, is an overwhelming process and most people do not know the nitty-gritties of the entire process. Having being in Business for the past three years, we have brushed shoulders with many kinds of personalities in agents and loan officers, and are proud to say that most of them are ethical and by the books. But there are still a certain number of professionals who do not communicate with precision and keep things in the gray area. While it must be of some value to them, but from the way we see it- (From the prespective of the first time buyers that we were, to the Realtors that we are) - Hiding true information, trying to be sneaky with your buyers, overrating average properties to do fast sale, creating an environment of “You Snooze You Loose”, thereby making buyers/sellers anxious- These hold no value in the eyes of any genuine person, be it a buyer or a seller or even a window shopper. That is the reason why we as a family collaborated together and pledged to study Real Estate for three months at a stretch and pass the exam to be able to help people just the way they need to be helped- with utmost love, care, compassion and synergy. We Believe in Buiding ‘Real, Experiential Connections’, not ‘Real Estate Contacts’. We Believe in Leaving No Stone Unturned when it comes to Getting You Exactly What you Want. We Negotiate Hard for You, to Get You the Maximum Equity in Your Sale/Purchase. We Treat You Like We Would Like To Treat OurSelves- With Respect, Care and Proper Comminucation. Creating a Decision to Buy or Sell a Real Estate is Not a Day’s Job- It takes Weeks, Months & even Years to Get To That Point. And when You Do Get to That Point, We want to Make Sure that Your Journey up til the Decison is very well understood and Your Needs are Well Taken Care of. 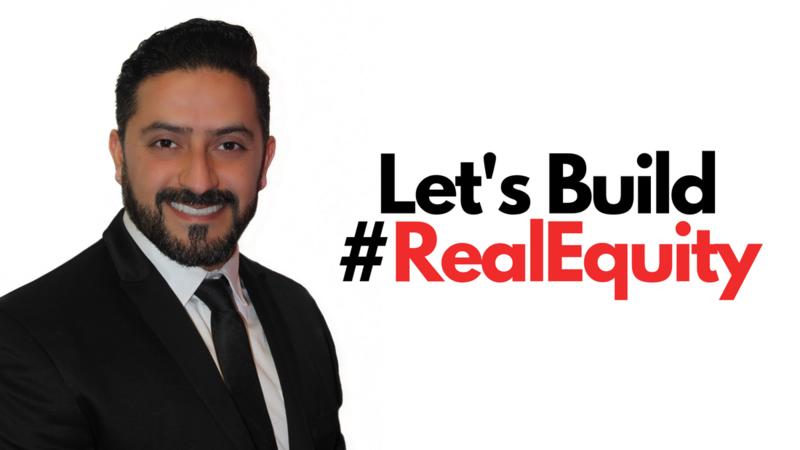 If you have any questions regarding how to build a strong equity in Real Estate with whatever you have on hand, let us know and we will help you buy or sell that house, building or land. Let's cut to the chase and straight away come to the most important aspect in Real Estate- Maximizing your Return On Investments (ROI). Follow this D.O.L.L.A.R strategy step by step and apply in every Real Estate you buy to gain maximum profits every time. Due Diligence: No matter if it's your first property or your tenth, each property is unique and has its own characteristics, pros and cons. Doing your Due Diligence as quickly and deeply is the first thing you should do even before you place an offer on the property- Do your research and check the property in consideration for any liens, physical deterioration, location pros & cons, crime rate, school district, neighborhood, safety, scope for growth, permits etc. Observe: Market trends change rapidly over time and the investment that you wanted to make six months ago might not make sense today. Most people who get reluctant in investing in Real Estate because they think the market will go down, end up spending more on similar properties after just a couple of months. Observing market trends is the second most important step towards creating a strong ROI. Whichever State, City, or Zip Code you chose to invest in, observe the market trends for that particular area and understand if it's the best place to invest in or not. Listen: Listen To your Realtor. If you are working with an honest, creative and logical Realtor, he will do all the leg work for you by crunching relevant numbers, negotiating on your behalf, coming up with creative strategies to add value to your property, and finding you deals that are suitable to your particular needs. Always know that a great Realtor is the one who listens to you first and understands your needs in complete details before beginning to work for your benefit. Realtors have access to a lot of tools and systems that can be used for gaining deeper knowledge about the property in question. Leverage: The easiest way to access Leverage is to use your own money. The smartest way to access leverage is to use someone else’s money. Leverage is the tool that will increase returns only if you use it prudently. If you put 20% down on a property, you will still receive rental income based on 100% of the property value, making it a great return for your 20%. Say your property is worth $100,000 and you charge $750 in rent with $500 in mortgage, taxes and fees. You have a $250 profit on $20,000 down. That is $3,000 a year, or 15% return on your deposit. Good luck trying to get an almost guaranteed 15% on stocks. Remember, the bigger the leverage, the greater the return. Add Value: Adding Value is probably the most important aspect of the entire strategy. When hunting for real estate, figure out what is the scope for value addition in a property. Not every property has scope to add value to, thus it becomes imperative that you know where you are investing. For example when buying an apartment or a condominium complex, see if there is enough vacant land to add a few more units, or facilities like parking spaces, pool, playground, barbecues and the likes. While buying a single family residential house, see if its fully upgraded or still has some scope. If it is already upgraded, then there is probably no scope to add value to it, which means your ROI will never be enough to keep your pockets warm. Rent / Resell: Figure out what you plan to do with the property once you acquire it? Rent it out or Resell it within a particular time frame - Sitting on a vacant or parked property for too long will diminish your ROIs and fail to make you happy. Furthermore, who you rent out to makes a lot of difference on how much returns can you get on your investment. Renting out to businesses vs individuals Or renting out each room vs an entire house are some of the examples that can have significant affects in your ROI. Do your maths correctly and aim to begin getting returns from Day One onwards. For Residential / Commercial Real Estate Services, Mortgage loans and Refinances, Connect with Varun Ish Nanda. 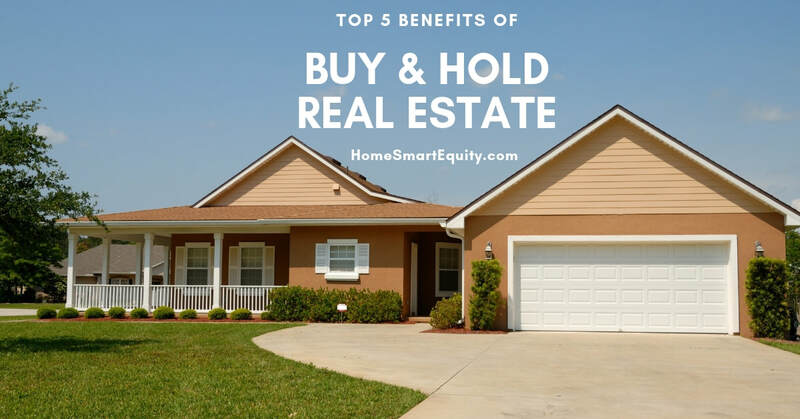 ​There are typically five benefits that you can realize by investing in buy-and-hold properties that make them beneficial for long-term investors. Some of these benefits include passive income, tax deductions, equity buildup and more. One of the main benefits of buy-and-hold real estate investing is monthly rental income and any other revenue the property generates like vending, laundry and parking income. This income is considered passive income and typically is accounted for on a monthly basis. To make sure you’re collecting as much rental income as possible, you need to set your rent price correctly. If you want to figure out how much you should charge for rent, check out our rental market analysis. There can be tremendous tax advantages that come from owning buy-and-hold real estate. These include things like being able to write off certain expenses like depreciation as well as mortgage interest and loan origination fees deduction. Property tax benefits are another major advantage of buy-and-hold real estate investing. With buy-and-hold investments, your tenant is paying down your mortgage for you, meaning the equity in your property typically increases each month. Furthermore, tenants will even pay your interest expense, which is tax deductible. Therefore, it’s important to find good tenants who make prompt and on-time payments. Even though your properties can fluctuate in value, it’s a safe bet that a good property located in a good area will go up steadily in value over a long period of time. This is in contrast to short-term rehab investors who might renovate a property with the expectation that appreciation will happen more quickly. Typical appreciation of buy-and-hold real estate is between 3 per cent and 5 per cent yearly. Because you can borrow money to buy rental properties, you are able to multiply how many properties you can buy. With only a modest down payment, you are able to purchase a valuable piece of real estate. Further, you can leverage existing equity to take advantage of home equity loans and lines of credit. While flipping a house can generate a profit, it doesn’t create any passive income, doesn’t have any tax advantages, doesn’t build long-term equity, and leverage doesn’t have much of a long-term effect. For the person looking for long-term wealth creation, buy-and-hold wins hands-down. Contact Us Today for a World-Class Real Estate Experience. Let us know your basic information and we will contact you right away!